Why international development agency OFID chose the service bureau route, and how the decision has transformed its treasury. 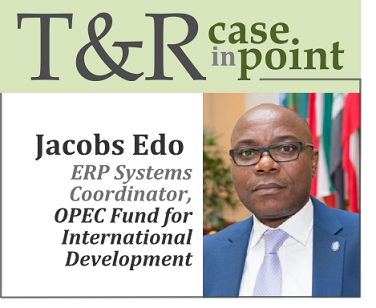 The OPEC Fund for International Development (OFID) is a small development finance institution formed by the member states of the Organization of Petroleum Exporting Countries (OPEC) in 1976 to help developing countries stimulate economic growth and alleviate poverty. It provides financing to build essential infrastructure; strengthen social services delivery; and promote productivity, competitiveness, and trade. Since its inception, OFID has implemented well over 3,500 developmental operations and grants around the world, worth more than US$19 billion.